While many foundation problems are similar, each one demands a customized solution to provide the best value and performance. At Northern Basement Systems, we take pride in making the costs for these repairs as clear and easy to understand as we possibly can. Call Northern Basement Systems today at 1-855-248-5226 or contact us online to learn more about how we can help you. 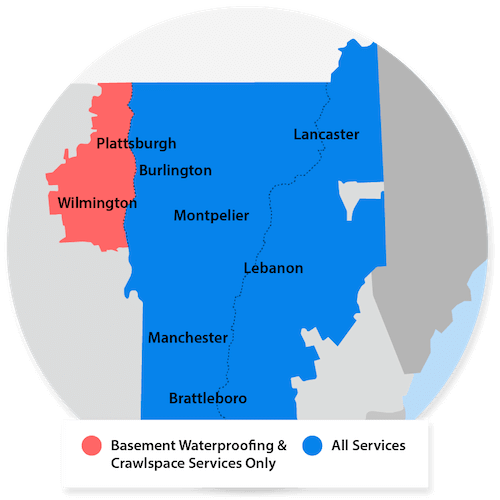 We offer free estimates on all our work in Burlington, Keene, Colchester, Rutland, Laconia, South Burlington, Bennington, Brattleboro, St Albans, Montpelier, and throughout the surrounding areas.